The Christmas story is the story of hope — hope in the face of all that is contrary. Christmas time is a great time to use for the purpose of remembering, memorializing the fact, that when God says, “I will….”, then God will. He will move mountains, seas and people. In Josh. 2:11 the fact and realization is that our God is able to move anything or anyone in heaven or in earth to accomplish His purposes. He is able to move in the life of an obscure girl who had no credentials or evident reason for expecting to be part of an earth-shaking, history-shaping event. Her qualities and integrity (evidenced in the writings of both Matthew and Doctor Luke) helped to place her in the middle of the road where an unprecedented moving of God was progressing like a steamroller and changing history as man had known it. That change was taking place through a small handful of individuals and not through some large and varied political or military movement. From all that we can find concerning this person called Mary, precious few people even knew of her qualities and integrity. It would seem that Jehovah was about the only One who saw and might very well have been the only One who noticed. And by the time she was discovered to be with child, she would have been disqualified by any who did happen to notice. Had it not been for dreams and angels intervening by Divine directive, her own husband would have done away with her. When God promised Abraham a son it would appear that it was long deferred. Abraham most likely thought that the son which was promised was his immediate son. However, that promised Son was the One through whom the world would be blessed, the One who would be called the Christ. This Son of promise proved to be coming at the great distance of some 42 generations and about 2,000 years. Though it be long and arduous by our standards, God Jehovah is faithful in all and brings about detail for detail that which was foretold long before it was realized in this realm which we call reality. Delays do nothing to weaken the promise of God; for in what seem to us to be delays, our all-wise and provisional Father is preparing a people who will walk out His fulfillment rather than being caught unawares and overcome by His fulfillment. As we learn in the New Testament teaching of our Lord, the new wineskin must be prepared for the new wine or it shall burst and the wine and its value lost. It is interesting to note M. Henry’s observation on this one point: “This son of David, and son of Abraham, who was to be the glory of his Father’s house, was born when the seed of Abraham was a despised people, recently become tributary to the Roman yoke, and when the house of David was buried in obscurity; for Christ was to be a root out of a dry ground.” From such a studious observation we could readily come to the conclusion that the performance and provision of our God comes when circumstances would place upon it the heaviest it has to offer. Ease and convenience are not the components or the ambiance of fulfillment. The Christmas story is the story of hope — hope in the face of all that is contrary. 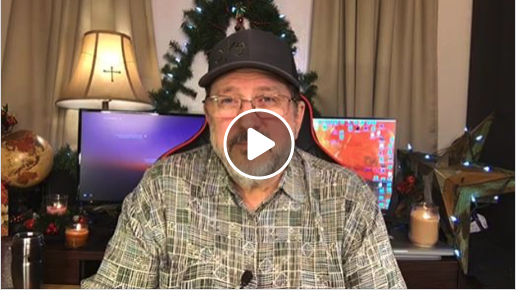 This entry was posted on December 25, 2018 by Marty Gabler. It was filed under Uncategorized and was tagged with 1 Thessalonians 4:17, Advent, anticipation, Apostle, Barbara Yoder, Bethel Church, Bible, Bill Johnson, Body of Christ, celebrate, CFNI, charismatic, Christmas, Chuck Pierce, church, Cindy Jacobs, circumstances, comfort, Daily Discovery, Damon Thompson, destiny, dreams, Dutch Sheets, elderly, encouragement, expectation, faith, father, Five-Fold, FMCI, future, gifts of the Spirit, god speaks, grace, Haggin, happy, healing, history, Holy Spirit, hope, Identity, intercession, Isaiah 9:7, Israel, issues, Jentezen Franklin, Jeremiah 29:11, Jesus, Jim Goll, Jim Hodges, John 3:16, John Eckhart, John Kelly, Joseph Prince, Joyce Meyer, Kathy Gabler, Kim Clement, Kingdom of God, Lakewood, Lance Wallnau, life, Lindsey, manger, manifestation, Marty Gabler, Mary and Joseph, Matthew 6:10, Matthew 6:33, Melissa Gabler, Myles Munroe, obstacles, ORU, Osteen, power of god, prayer, problems, prophecy, prophesy, prophet, prophetic, prosperity, purpose, Redding, rejoice, Rick Joyner, Rick Pino, righteousness, salvation, Savior, SEEC Ministries, sentiment, shepherds, sons of God, spiritual warfare, success, TD Jakes, Texas, Tony Evans, transforming power, victorious, victory, visions, Will of God, wisdom, wisemen, word of god.